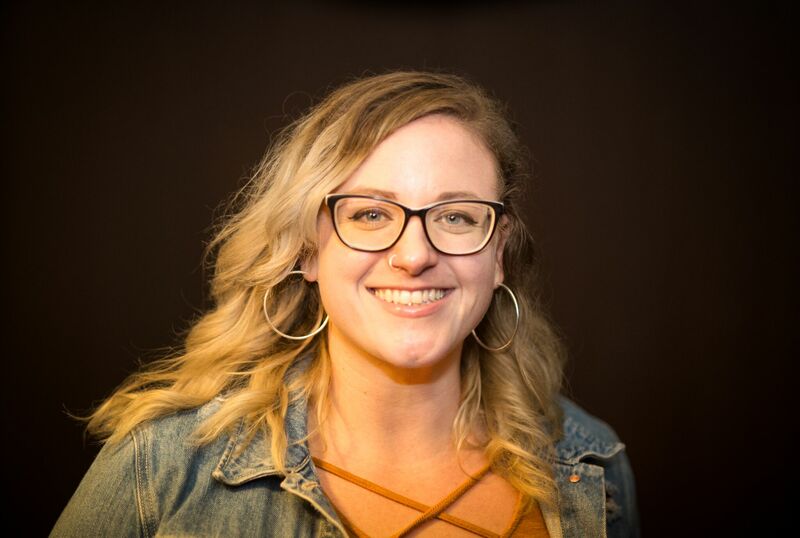 The Thurston County Homeless Housing Hub is proud to announce that the Thurston County 2018 “Housing & Homeless Hero Award” for outstanding direct service goes to Jaycie Osterberg, Executive Director of Quixote Communities, based in Olympia. This award will be presented on noon on Monday, March 18, 2019 at the Salvation Army Worship Hall, located at 1505 4th Avenue East in Olympia. Jaycie Osterberg, graduated from The Evergreen College with a BA in social work and a Masters in Public Administration. She started working at Quixote Village nearly four years ago as its Resident Advocate, helping residents access services and build life skills. She effectively promoted the Village’s culture of peer support and community living. In March, 2018, she was promoted to become the Program Manager at the Village, and in December, 2018, to Executive Director of Quixote Communities. She now leads the organization in overseeing Quixote Village, and in the development of two additional tiny house villages for homeless veterans in Pierce and Mason counties. As a fast-rising and talented leader, Jaycie has worked to strengthen the bonds among local housing and homeless service providers, a task to which she brings a naturally collaborative nature and an abundance of common sense. Quixote Village is a tiny house community for 30 formerly homeless adults located in west Olympia. It is the brainchild of the residents of Camp Quixote, a tent camp that moved from one church parking lot to another from 2007-2013. Those residents attracted the support of faith communities and others who helped raise funds to build and manage the Village. It is a model that has inspired similar efforts far and wide, and will soon be replicated by its non-profit sponsor, Quixote Communities, formerly known as Panza. The Thurston County Homeless Housing Hub is an ad-hoc coalition of direct service providers working with homeless people and others at risk of homelessness. Members include Behavioral Health Resources; Bread & Roses Shelter; Capital Recovery Center; Catholic Community Services; Community Action Council; Community Youth Services; EGYHOP; Family Support Center; Homes First! ; Housing Authority; Interfaith Works; Fleetwood Apartments; Low Income Housing Institute; PANZA / Camp Quixote; St. Michael’s Shelter Program; Safeplace; Salvation Army; SideWalk; Stand Up for Kids; Out of the Woods Shelter; Partners in Prevention; Thurston County Corrections Jail Transition Services; Union Gospel Mission; Veterans Administration Homeless Programs; the YWCA and more. The HHH meets monthly on the third Monday at noon at the Salvation Army Worship Center, located at 1505 4th Avenue East, Olympia.